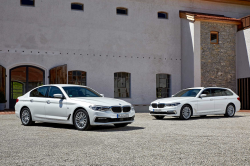 2011-2012 BMW 550i and 550i xDrive sedans produced between April 23, 2010, and Sept. 14, 2011. 2010-2012 BMW 550i Gran Turismo and 550i Gran Turismo xDrive sedans produced between July 30, 2009, and Sept. 8, 2011. 2012 BMW 650i and 650i xDrive coupes produced between Dec. 10, 2010, and Sept. 15, 2011. 2012 BMW 650i and 650i xDrive two-door convertibles produced between Jan. 12, 2011, and Oct. 31, 2011. 2009-2012 BMW 750i, 750i xDrive, 750Li, 750Li xDrive and 760Li sedans produced between Oct. 14, 2008, and Sept. 13, 2011. 2011-2012 BMW ActiveHybrid7 sedans produced between Sept. 24, 2010, and Sept. 6, 2011. 2010-2012 BMW X5 xDrive 50i and X5 M sport utility vehicles produced between July 30, 2009, and Nov. 19, 2011. 2008-2012 BMW X6 xDrive 50i and X6 M sport utility vehicles produced between Nov. 15, 2007, and Nov. 18, 2011. 2010-2011 BMW X6 Hybrid sport utility vehicles produced between Sept. 14, 2009, and Sept. 12, 2011. 2007-2012 Mini Cooper S and JCW coupes produced between June 28, 2007, and Sept. 23, 2011. 2008-2012 Mini Cooper S Clubman and JCW Clubman coupes produced between Jan. 28, 2008, and Sept. 23, 2011. 2011-2012 Mini Cooper S Convertible and JCW Convertible coupes produced between Oct. 28, 2010, and Sept. 23, 2011. 2011-2012 Mini Cooper S Countryman and Cooper S Countryman ALL4 four-door hatchbacks produced between Jan. 19, 2011, and Sept. 13, 2011. 2012 Mini Cooper S Coupe and JCW Coupe models produced between June 22, 2011, and Sept. 23, 2011. 2012 Mini Cooper S Roadster and JCW Roadster coupes produced between Aug. 11, 2010, and Sept. 21, 2011. 2010-2012 Rolls Royce Ghost sedans produced between Jan. 24, 2011, and Sept. 25, 2011. BMW suspects just 1 percent of the vehicles referenced in the recall contain the defective parts. Affected vehicles contain engine control unit-driven electric auxiliary water pumps that may overheat within high-temperature environments. Specifically, the circuit boards installed in these components are prone to heat due to a critical design flaw. Consequently, electric auxiliary water pumps using these circuit boards might overheat to an extent that causes smoldering, which in turn increases the likelihood of engine fire. This threat poses a serious safety hazard to occupants. However, BMW has yet to receive reports connecting the defect to any accidents or injuries. BMW engineers first noticed instances of electric auxiliary water pump failureback in June 2009, according to an earlier defect report submitted to the NHTSA. This discovery prompted additional internal testing, which revealed an issue with the circuit board assemblies installed in the pumps. Later in September 2009, Mini, a BMW brand, discovered a vehicle that suffered electric auxiliary water pump failure. BMW initiated a field monitoring program in response. In May and June 2010, the automaker came across two other vehicles that showed signs of engine compartment burning. This finding prompted BMW to form a special task force to address the issue. The group, in November 2010, confirmed that the vehicles experienced engine compartment fires due to electric auxiliary water pump failure linked to circuit board degradation. The company continued to monitor the field for the next year, during which time 81 vehicles worldwide suffered electric auxiliary water pump failure. Four of these vehicles experienced engine compartment fires. In December 2011, BMW completed internal tests involving both BMW and Mini vehicles. 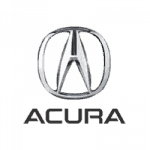 On Jan. 3, 2012, the automaker initiated a voluntary safety recall involving more than 88,000 vehicles across both brands. More than four years later in October 2017, BMW received a field report detailing an instance of electric auxiliary water pump failure in a 2011 Mini Cooper S. The company evaluated the vehicle referenced in the report and confirmed the root cause. BMW then found that this particular model was not included in the 2012 recall, which forced it to reassess its engineering and field data. This review revealed multiple instances in which BMW had inspected damaged vehicles that showed signs of electric auxiliary water pump failure, including BMW 550i and 750i sedans. The automaker then launched a formal review of the amended electric auxiliary water pump assemblies installed in vehicles following the 2012 recall campaign and found that these fixtures were failure-prone despite the presence of enlarged circuit path spaces, hall sensor holder gaps and improved plating and soldering. BMW reviewed its production records and determined that models across its brand, Mini and Rolls Royce were affected. On April 11, 2018, the car manufacturer initiated another voluntary safety recall. BMW has directed dealers to replace the electric auxiliary water pumps in affected vehicles free of charge, according to an NHTSA recall acknowledgement document. However, the automaker is still developing replacement parts. That said, the company plans to reach out to owners June 11, and once more when replacement fixtures become available. Owners in need of assistance prior to the start of the recall can connect with BMW customer service personnel by calling (800) 525-7417. Mini owners should call (866) 825-1525, while individuals with recalled Rolls Royce vehicles should use (877) 877-3735. Owners can, of course, contact the NHTSA directly using its Vehicle Safety Hotline at (888) 327-4236. 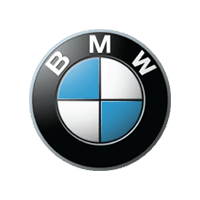 Westwood, N.J. – Feb. 22, 2018 – BMW of North America has recalled a handful of vehicles potentially equipped with defective head air bags, according to documentation submitted to the National Highway Transportation Safety Administration. The campaign affects 2018 Rolls-Royce Ghost luxury sedans produced between Nov. 24, 2017, and Dec. 7, 2017. BMW estimates that just 4 percent of the recalled models actually contain the defective components. Affected vehicles may include damaged head air bags that might not inflate properly upon deployment due to out-of-specification headliner installation. This poses a serious risk to passengers as the defect could leave the vulnerable to head trauma in the event of a crash. However, BMW has not received any reports connecting the defective safety features to any accidents or injuries. BMW quality assurance personnel on Jan. 23, 2018, learned that engineers had discovered a damaged air bag during assembly. The British automaker immediately quarantined and blocked shipment of potentially effected vehicles. In the days following the initial discovery, BMW conducted several tests to determine the root cause of the damaged air bag and eventually learned that the headliners on the the problematic sedans had been installed incorrectly, interfering with the operation of the safety feature. The car company also reviewed production records to ascertain just how many vehicles might contain nonfunctioning head air bags. On Jan. 31, 2018, BMW decided to conduct a voluntary safety recall. The organizations notified dealers of the action Feb. 7, 2018. BMW directed dealers to inspect and replace the head air bags in affected vehicles free of charge, according to an NHTSA recall acknowledgment document. None of the models involved in this recall have been sold to customers. Therefore, BMW will not be sending out customer notifications. However, any owners with related concerns can contact BMW customer service personnel at (877) 877-3735. They can also reach out to the NHTSA directly using its toll-free vehicle safety hotline at (888) 327-4236. BMW is recalling more than 3,100 vehicles because of problems with the illumination of the instrument panel lights. 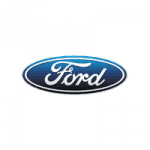 Just as with many recalls from automakers, this one is because of software that contains coding errors. The 2018 BMW 230i, 230i xDrive, M240i, M240i xDrive, M2 and X3 xDrive 30i will need to be taken to dealers to have the software updated. The problem was first noticed at a BMW assembly plant concerning the illumination of the instrument panel display. The automaker contacted the supplier and BMW learned of numerous incidents with instrument cluster displays, but the root cause was still unknown. BMW of North America (BMW) is recalling 32,000 model year 2014-2018 BMW i3 electric and hybrid electric vehicles. The i3 was introduced back in 2013 and was the second product in its “i” range of electrified models after the i8 hybrid sports car. Unlike its sibling, the i3 only used a battery pack to power its rear-mounted electric motor, though it did optionally come with a gasoline range-extender to function as an onboard generator. Largely due to its polarizing design and limited range, the i3 was met with mixed reviews. Some people found its quirkiness appealing while others were put off by its bulldogish appearance. Either way, the i3 failed to be a sales success BMW wished for, failing to turn the Bavarian brand into an important EV player. In a pair of recalls, BMW is set to repair more than 1.4 million vehicles in the United States, which are at risk for a fire hazard stemming from an electrical issue. 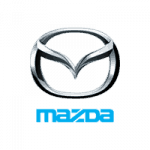 The larger of the two recalls involves a malfunction in a heater for the positive crankcase ventilation valve. BMW spokesman Hector Arellano-Belloc said the heater is designed to prevent the valve from freezing in cold temperatures, but irregularities in manufacturing can cause corrosion, which leads to overheating of the component. When overheated, the heater can cause the ventilation valve to melt, increasing the risk of a fire even when the vehicle is parked. Dealers will replace the heater on approximately 740,000 vehicles built from 2007 to 2011. Affected models include the 1 Series (128i), 3 Series (328i with rear-wheel or all-wheel drive), the 5 Series (525i, 528i, 530i – all with RWD or AWD), X3, X5 (xDrive30i), and Z4…. 2007-2011 BMW X3 sport utility vehicles. 2007-2011 BMW X5 sport utility vehicles. The German automaker has yet to indicate what percentage of the vehicles referenced in the recall contain the defective parts. The models included in this action could contain defective crankcases with positive crankcase ventilation valve heaters that are prone to short-circuiting. These features pose a serious threat to occupants, as they increase the risk of fire. This could occur during operation or when the vehicle is stationary and switched off. In early 2009, BMW received a field incident report referencing a 2007 X5 SUV that had sustained heat damage, according to an incident chronology document submitted to the NHTSA. The car company inspected the vehicle and reviewed the information in the report. These inquires failed to yield a root cause. As a result, BMW initiated a field monitoring program. In late 2009, the automaker received another incident report addressing a 2006 BMW 3 Series sedan with heat damage. BMW received additional reports in early 2010 and later determined that many vehicle owners dealing with heat damage had likely extinguished the resulting fires on their own. The organization launched a parts-return program to collect components from the damaged vehicles for testing. Between 2011 and 2012, the car company performed internal tests on the returned parts using microscopy, ultrasound and X-ray technology. These analyses revealed that the PCV valve heaters in the affected models were prone to degradation. Those that fully broke down were cited as the root cause of the heat damage. Since no injuries or accidents had been reported, BMW chose to hold off on issuing a recall and instead decided to reinitiate field monitoring. In 2016 and early 2017, BMW Canada revisited the PVC valve heater issue at the request of Transport Canada. Further analyses revealed that affected vehicles could “age out” of the condition. The testing also showed that the damage occurred between the second and eighth year of ownership. 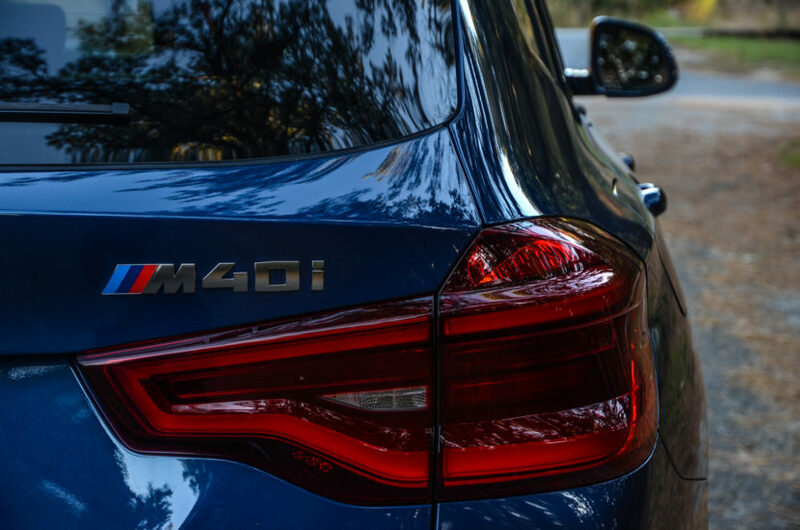 With this new information in hand, BMW met with the NHTSA in October 2017 and submitted a Part 579 report detailing ongoing field monitoring, as well as potential mitigation actions that may work in the U.S. market. The automaker then reviewed internal manufacturing and supplier records to determine the extent of the problem. BMW decided to conduct a voluntary safety recall Oct. 25. BMW intends to direct dealers to replace PCV valve heaters in affected vehicles free of charge. The company plans to notify both dealers and owners Dec. 18. 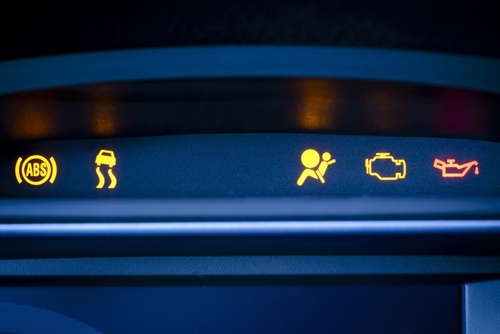 However, owners in need of more immediate assistance can contact BMW customer service at (800) 525-7417. 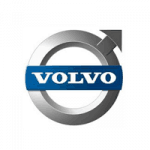 They can also reach out to the NHTSA directly through its Vehicle Safety Hotline at (888) 327-4236. MW of North America has recalled more than 85,000 vehicles potentially equipped with defective front passenger-side occupant detection mats, according to documentation filed with the National Highway Transportation Safety Administration. The campaign affects 2006-2010 BMW X-3 sport utility vehicles with production dates ranging from Nov. 20, 2005 to Aug. 31, 2010. 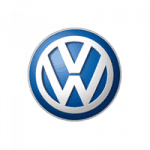 The German automaker suspects roughly 9 percent of the models referenced in the recall contain the defective features.